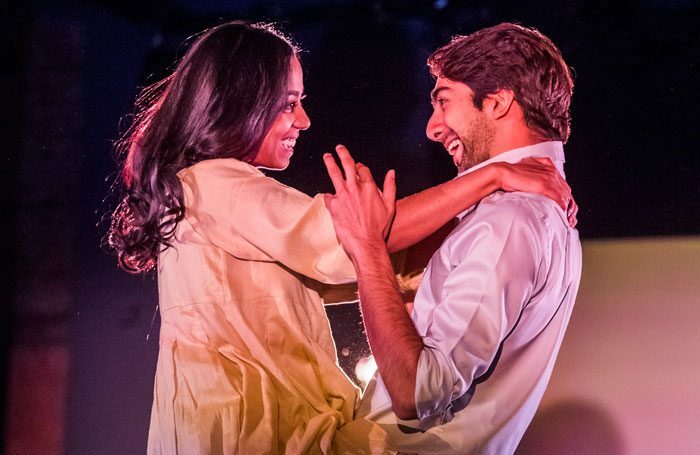 Vinay Patel’s marvellous history play documenting a couple formed only partly through their own volition traverses decades, continents and the collapse of an empire. Simultaneously sprawling and intimate, Patel takes an honest view of the compromise needed to make relationships work, but also shows that women are more prone to making big sacrifices for their partners and families. Though the family we see are elderly in the present day, the things Jyoti gives up are are a tragedy familiar to younger women. The story of this couple’s journey from India to Kenya, then to London, is more broadly framed by political conflict, racism and xenophobia. In Kenya, they meet David – a young black man who may or may not be a rebel and wears his anti-whiteness and anti-Britishness on his sleeve. Here, asians are considered more worthy than black Kenyans in the eyes of the white colonisers so tension and violence create a backdrop to the young family’s early years. Britain is marginally better. Escaping the increasing unrest in Kenya, London in the 1970s brings factory work, strikes, unsuitable housing and more racism. It’s in these chapters of the couple’s life that Patel ups the poignancy through discussion of immigrants’ experiences and conflict between Jyoti and Rasik. The wide-angle view of the play’s political beginning narrows onto a couple that is world-weary and knows each other inside and out. They also carry bitterness and resentment, which drives some ruthless sniping that is all to familiar to those with experience of long-term relationships. Though deeply resonant to those who have migrated to the UK and/or people who work hard for those that they love, this is also an epic, engaging story of one family that makes multicultural Britain so special. It serves to remind us that in the context of an entire life, some of the most mundane and frustratingly human moments are parts of a great adventure. An Adventure runs through 20 October.